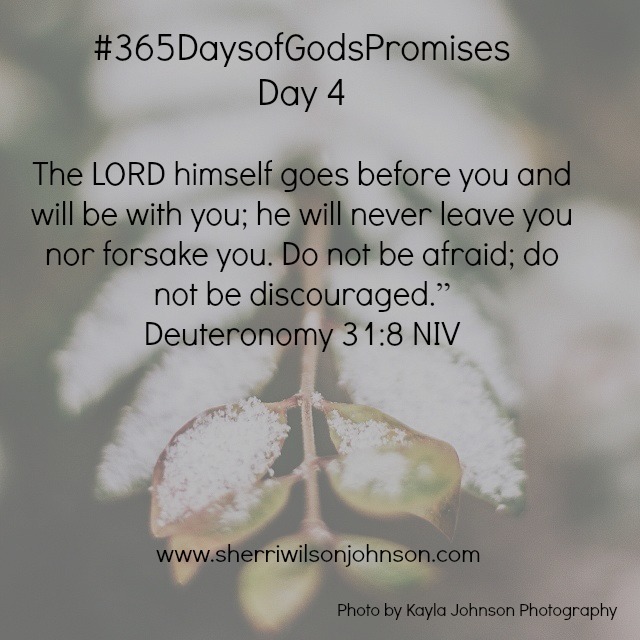 Although we will feel frightened at times in life because of circumstances we may go through that aren’t the easiest, we can take comfort in the fact that God promises never to leave us. In fact, He will go before us. He’s already there. He meets us there with open arms ready to calm our fears and ready to walk with us through our trials.